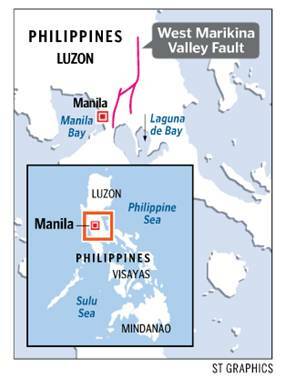 As you can see below - earthquakes occur mainly at the plate boundaries - note the movement of the plates. 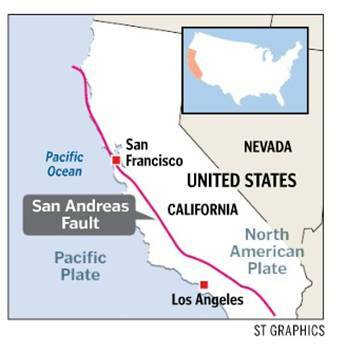 The convergent plates (plates moving towards each other) resulting in earthquakes as well as the presence of volcano - e.g. Pacific Ring of Fire. 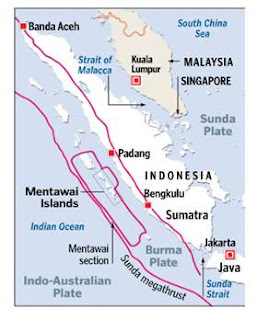 The movement of the plates resulting in earthquakes in Indonesia (picture above) and Philippines (picture below). 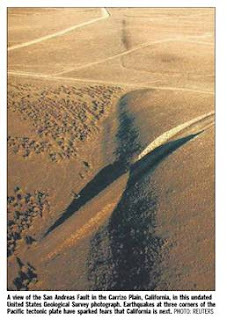 Plates sliding past each other - San Andreas Fault.